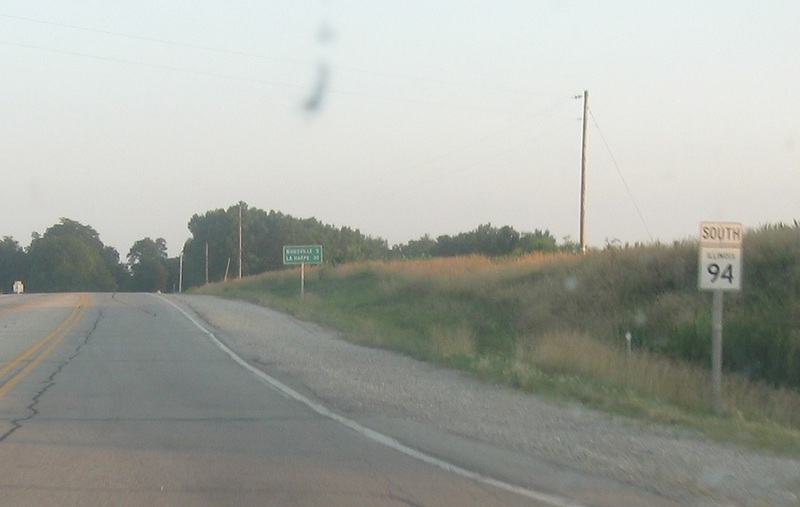 Reassurance shield after the 164 junction. 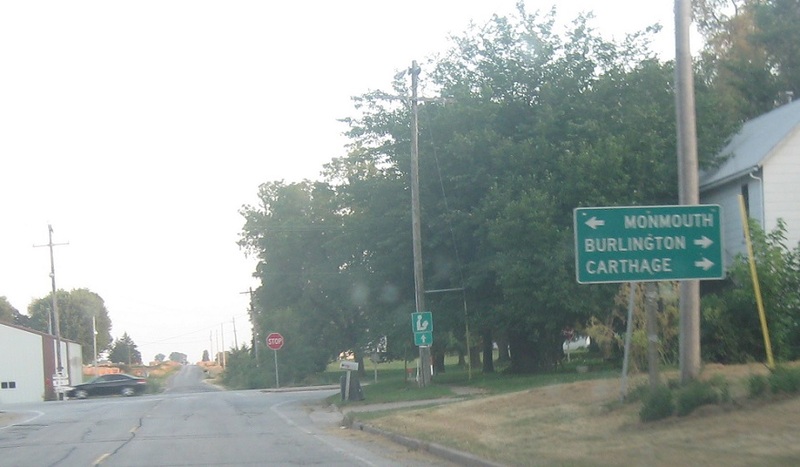 A couple miles later, we’ll enter Biggsville. 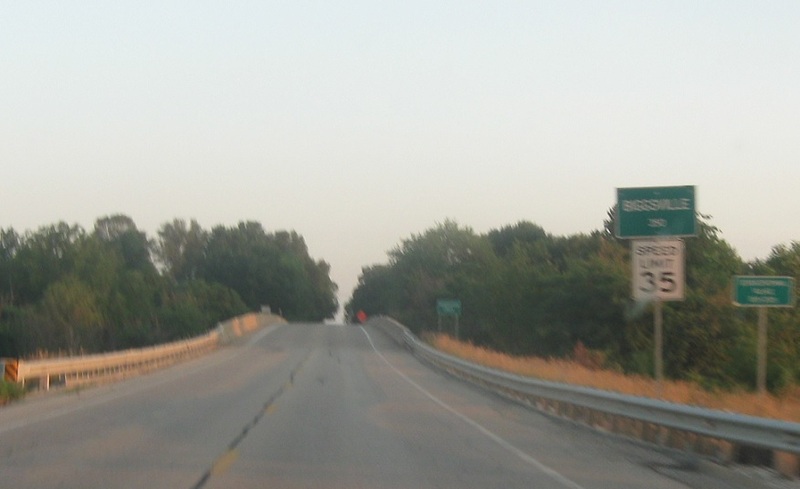 In Biggsville, we’ll approach US-34. 94 joins 34 for a few blocks. 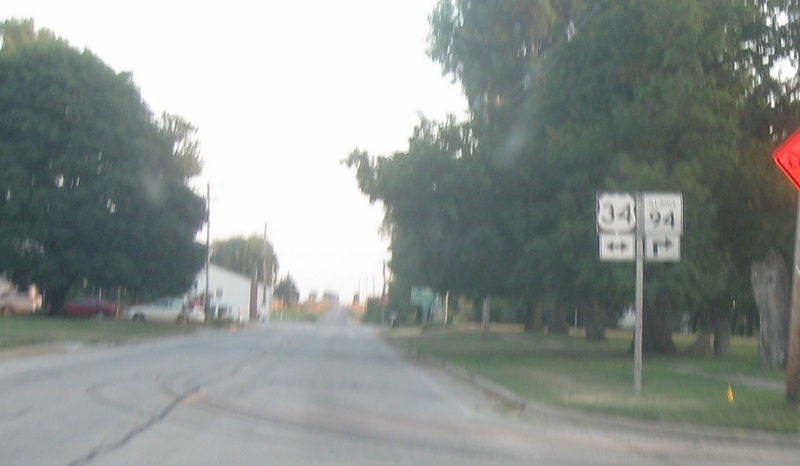 Follow 34/94 west to Carthage and Burlington, Iowa. Take 34 east to Monmouth. 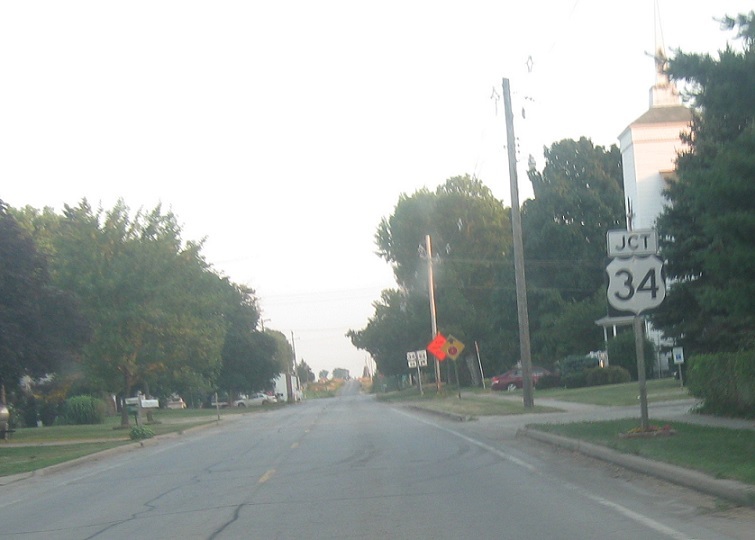 Turn right for 34/94 west.